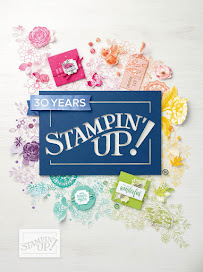 This stamp set and Thinlits first came out in last years Stampin' Up! 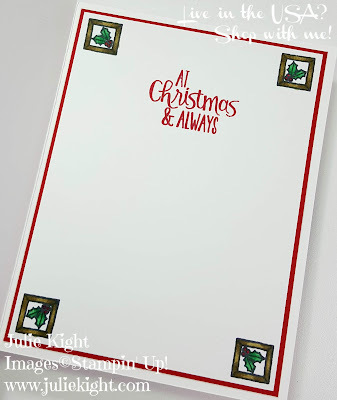 Holiday catalog then they were brought back in the 2018-2019 Annual catalog this year so they can be over looked because everyone is focused on this years Holiday catalog. These items are so beautiful and offer so much, the staircase alone is beautiful and can be used all year long. I first started with die cutting all the little pieces out in each of the four green colors that I chose. 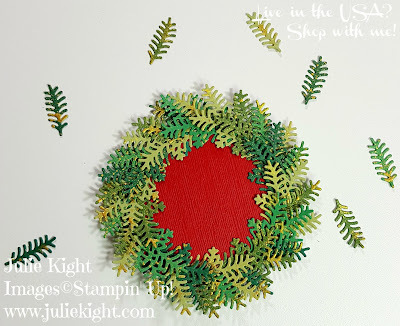 I highly recommend die cutting before doing the painting as it makes it much easier and you can be more precise with it. 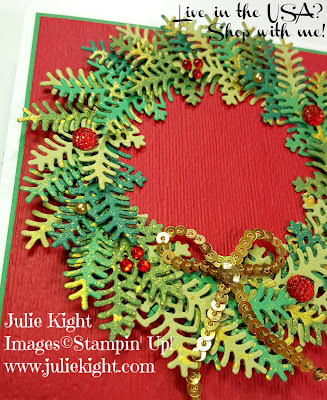 I used the Vegas Gold Shimmer Paint and a paintbrush to splatter paint onto all the leaves. 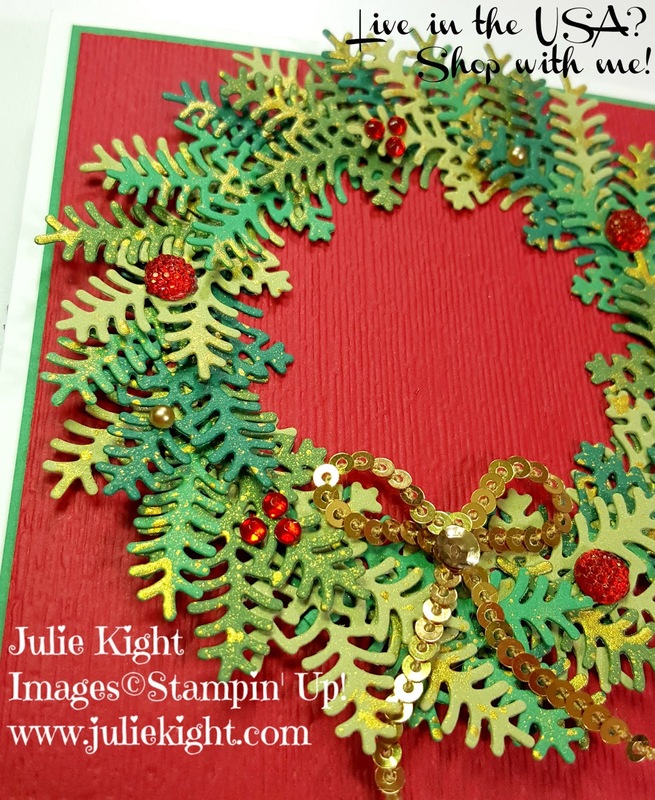 I die cut a circle that would match the base of my card and embossed it. This made it easier to make the circle shape with the branches. 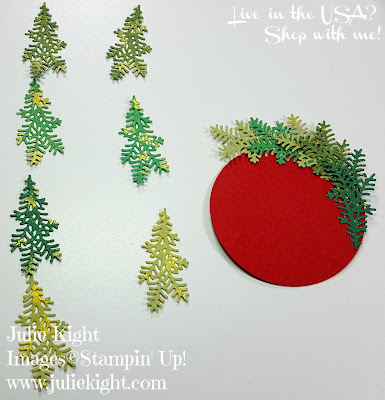 I started with the larger branches and laid out a color pattern that I liked and started gluing them down. I only put glue on the very smallest end so that the branches could pop up. When I finished the base of the larger branches I then started putting the smaller ones in to help fill out the wreath in the open spaces. They really helped the wreath to look full and popped up more. 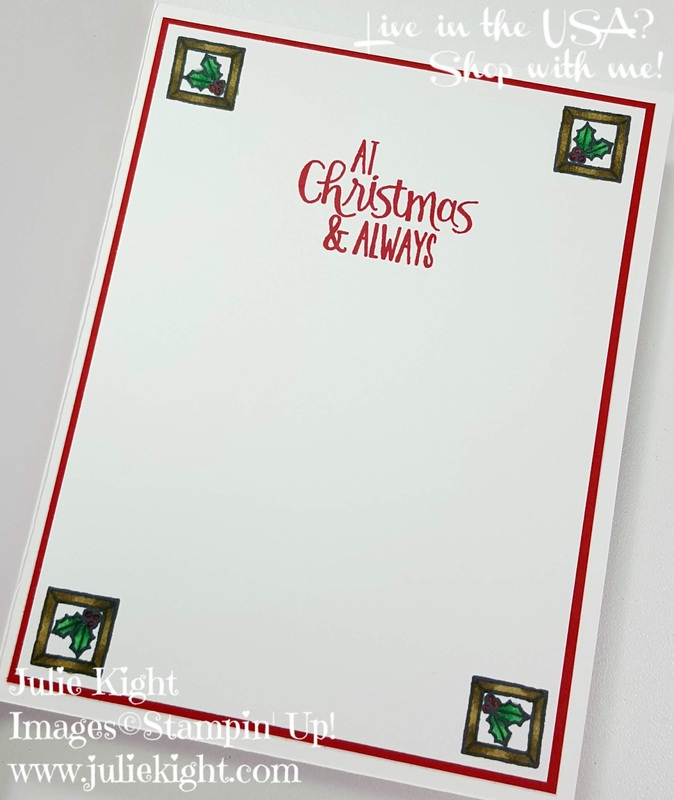 When I was happy with the way it look I just adhered it to the front of my card base. 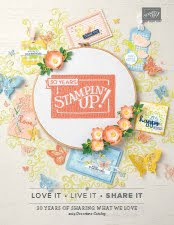 I stamped the inside as well and used the Stampin' Blends to color the stamped image in each corner. I decided to mat the layer inside the card to give it an extra special look. Thanks for visiting my blog and I hope you come back tomorrow for Day 2!